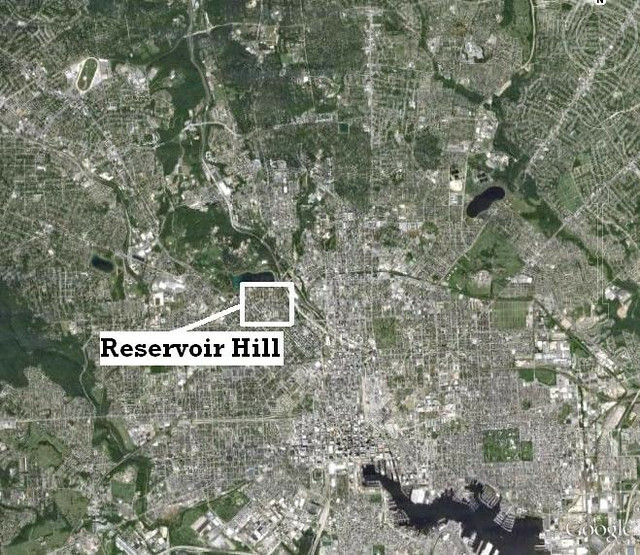 Reservoir Hill will always be on the verge. Perched above the steep ravines that lead into the Jones Falls river valley, the neighborhood straddles central and west Baltimore. Its borders are starkly defined on the east by Baltimore’s only north-south expressway; on the north by a four-lane high-speed road that effectively serves as a concrete moat for the city’s largest and oldest landscaped public park; and, on the south by what was once the city’s historic northern boundary and is now its most significant east-west thoroughfare. Reservoir Hill’s connection to Baltimore is at once cemented and severed by everything it touches. Reservoir Hill will always be beautiful. Since it was first developed from a sprawling country estate into an elegant enclave for Baltimore’s wealthy German Jews in the late 19th century, the neighborhood has boasted some of Baltimore’s most distinctive architecture. Blocks of freestanding Victorian houses interspersed with Italianate row homes ring the neighborhood, their ornamental facades and soaring ceilings testaments to the riches that built them. Reservoir Hill will always be dynamic. Within just one generation of when its most extravagant building period began, the neighborhood’s massive houses were already being subdivided into smaller units for the city’s growing working class. 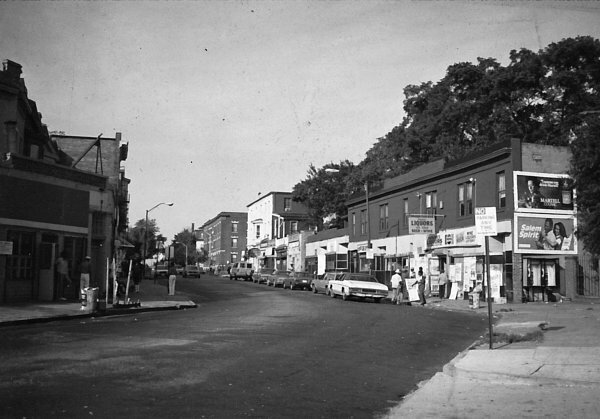 Cycles of ethnic and racial succession dominated the neighborhood’s narrative for much of the 20th century. Strict segregationist housing policies governed significant portions of Baltimore City for decades. By the mid-20th century, though, Reservoir Hill was an important site in the story of Baltimore’s first black homeowners. But the 1968 riots shattered Reservoir Hill. 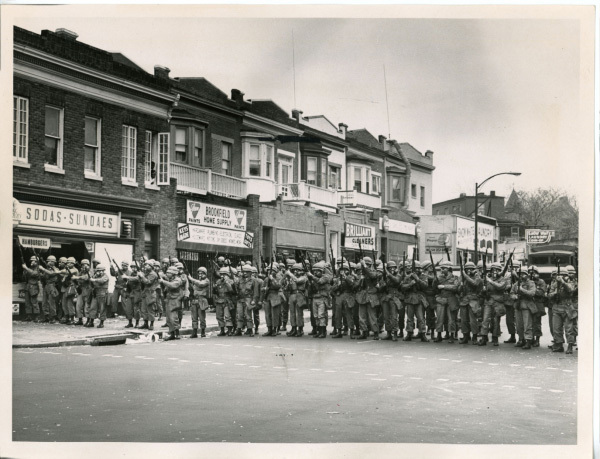 Armed U.S. National Guard troops were deployed on Whitelock St. to quell violence along the neighborhood’s devastated central commercial thoroughfare. Reservoir Hill will always be the next big thing. 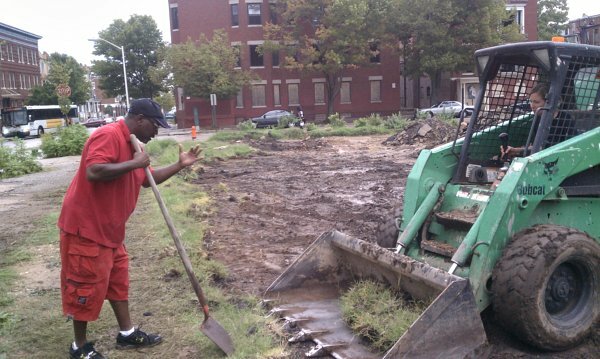 Over the last 40-plus years, a seemingly never-ending series of urban renewal programs targeting vacant and blighted property have resulted in promises both descriptive–Project 5000 (City acquisition of 5,000 vacant lots), Project SCOPE (Selling City Owned Property Efficiently)—and alliterative–the current program is called “Vacants to Value.” As a result, Reservoir Hill has bounced between brief spurts of ascent and descent, but as recently as 2005 the neighborhood’s still glorious mansions were scattered among an archipelago of 500 vacant properties. 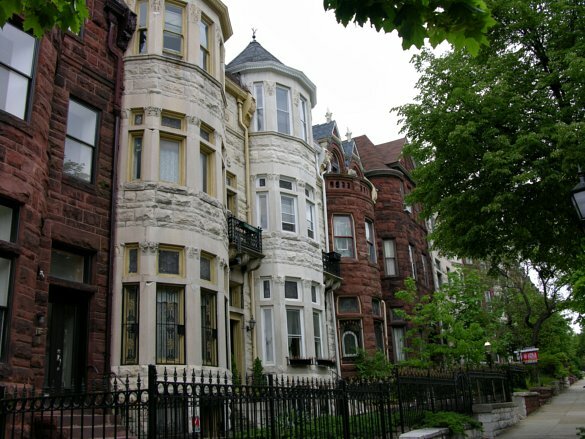 Reservoir Hill will always be home for the neighborhood’s 6,140 residents. 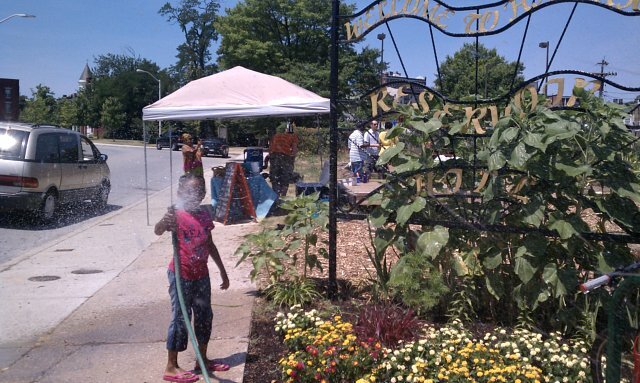 My job as a hybrid community organizer-urban planner with Reservoir Hill Improvement Council (RHIC) is to work with neighbors to make Reservoir Hill a safer, healthier, and more beautiful place to live. 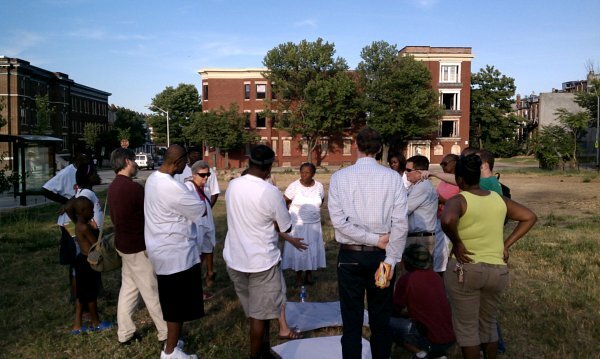 Over the course of December 2011 and January 2012, I invited Reservoir Hill residents to sit with me for open-ended conversations about their personal relationship to the neighborhood. I put a tape recorder on the nearest table, and for the next hour or so we grappled with the realities of living in a place that for close to half a century has appeared to be simultaneously on the brink of widespread gentrification and foreclosure. As is the case for anyone actually walking the streets of Reservoir Hill, the residents and I might have started elsewhere but we eventually found ourselves on Whitelock St. From its earliest days in the 19th century as a trail for livestock on route to market, Whitelock St. has represented Reservoir Hill’s physical and emotional center. When Baltimore City razed Whitelock St.’s crumbling commercial strip in 1994 with no plan to rebuild, the impact on residents was both practical and profound: on the one hand, residents lost their one place to shop and gather as a community; on the other, they realized that in a place left with no neighborhood business larger than a corner store, residents would be the ones responsible for filling institutional gaps with projects shaped by their own hands and in their own image. The establishment of RHIC by residents in 1993 and its continued operation today demonstrates that a neighborhood with a median household income hovering around $20,000, located in a city with limited funds for private or public development, still possesses the necessary ingredients—space, time, and ingenuity—to construct the community that residents envision. 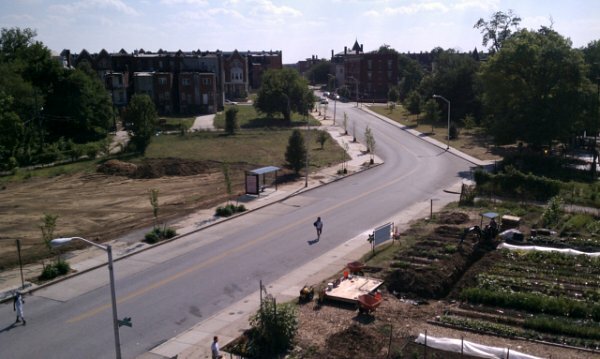 In 2012, Green Team members will complete the two-year process of imagining, designing, and constructing a 9,000 square-foot community park on a formerly vacant lot on the south side of Whitelock St.
As a native Baltimorean, I find this work extremely important professionally and personally. Though I joined RHIC in 2010, my first memories of Reservoir Hill date to the late 1980’s when my family joined Beth Am Synagogue, one of the last remnants of the neighborhood’s Jewish past, located at the intersection of Chauncey Ave. and Eutaw Place since 1922. I attempted this oral history project not only to reflect on how and why we have reached where we are today, but also to pause, at least for a moment, while still poised on the verge. Post by Teddy Krolik. 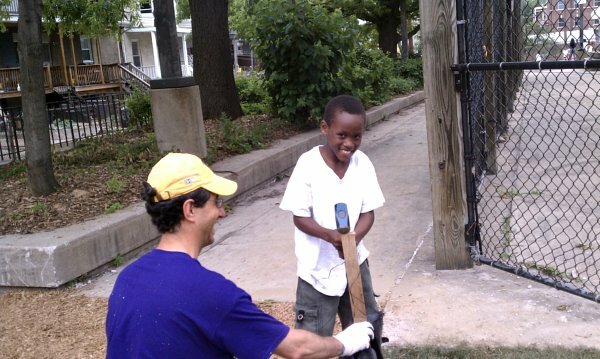 Photo credits: Baltimore News American, Howard Fink, Russ Moss, and Teddy Krolik.